Patients deserve palliative care services to be of the highest quality and to be well coordinated in whichever area they choose to be cared for i.e. hospital, home, care home or hospice. In order to support staff to provide excellent palliative care, this programme has been developed in partnership with St David’s Hospice, Llandudno, with expert staff who can share their experiences with knowledge in the field of palliative care. The advances in palliative care will help you develop approaches to symptom control and advanced pain, managing hopes and fears, grief loss and bereavement, and the verification of death. The module will alternate each week between face-to-face session’s at St David’s Hospice and distant learning work. A variety of assessments such as a case study presentation, blogs, and an applied assignment will be used. The student must have the support of their Manager, this course does not include a practice placement or competencies but may incorporate some reflective practice related to the implementation of palliative care in supporting patients and their families. The expert Faculty supporting this programme come from the Palliative care clinical and academic networks in North Wales. Benjamin Turton, the Bangor University St David’s Hospice Lecturer in Palliative Care will be running the programme. Our School is founded on principles of partnership working to ensure that all that we do is of the highest possible standard, quality and value to service users, students, practitioners and other stakeholders. 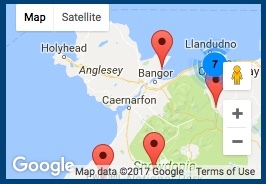 Recognising our bilingual heritage in North Wales, we pay special attention to maintaining language and cultural competence relevant to local, national and international partners.